Ben Lecomte is nearing the Great Pacific Garbage Patch, but his boat suffered irreparable damages after facing storms in the Pacific Ocean. 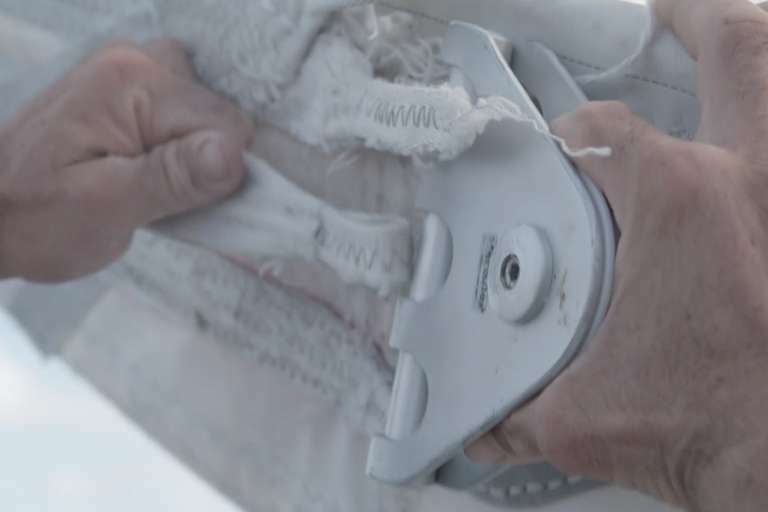 The broken sail is a devastating blow to Ben’s record effort, yet he and the crew are determined to gather unique ocean data from the garbage patch and entry corridor. Ben started his journey in Choshi, Japan, on June 5, 2018 en route to San Francisco, CA, in an effort to be the first person to swim across the Pacific and to help raise awareness about the health of our oceans. The broken sail has forced his crew to reevaluate the viability of the journey. To date, Ben has swum an average of eight hours a day over the last five months, and has covered roughly 1,500 nautical miles to reach a tributary of what’s commonly referred to as the Great Pacific Garbage Patch — the world’s largest accumulation zone of ocean plastic. Along the way, Ben has regularly encountered garbage and plastic pollution, violent typhoons, and severe storms and technical challenges. “Ben and the team have risked their lives to deepen our understanding of the Pacific Ocean and demonstrate the consequences of pollution,” said Caroline Smith, Seeker’s chief content officer. “Reaching this unique area of the Pacific is a significant milestone that will allow us to better understand the impact that humans have had on the health of the oceans. Seeker is incredibly proud to partner with Ben to share his extraordinary experiences and scientific findings with our audiences around the world." The crew departed from Choshi on June 5, 2018 for Ben’s 5000-mile world record breaking attempt to swim across the Pacific. After swimming more than 500 nautical miles, the team was forced to pause The Swim and retreat back to the Japanese coast due to dangerous storms and typhoons, which were on a direct path to collide with the team. Seeker and Nomadica Films have been with Ben and the crew from the beginning, allowing viewers from around the world to watch and follow their progress as they make history and explore the world’s largest ocean and the impacts of man-made pollution on its waters. More than just a swim, “The Swim” is the first citizen science expedition of its kind. In collaboration with 27 science institutions including NASA and Woods Hole Oceanographic Institution, Ben and his crew have already collected nearly 1100 samples along the way in an effort to learn more about plastic pollution, mammal migrations, extreme endurance and even long-term spaceflight. Ben and his crew will highlight the actions of their NGO partners, including Ocean Voyages Institute and Algalita Marine Research Foundation, and raise awareness of plastic pollution and climate change.